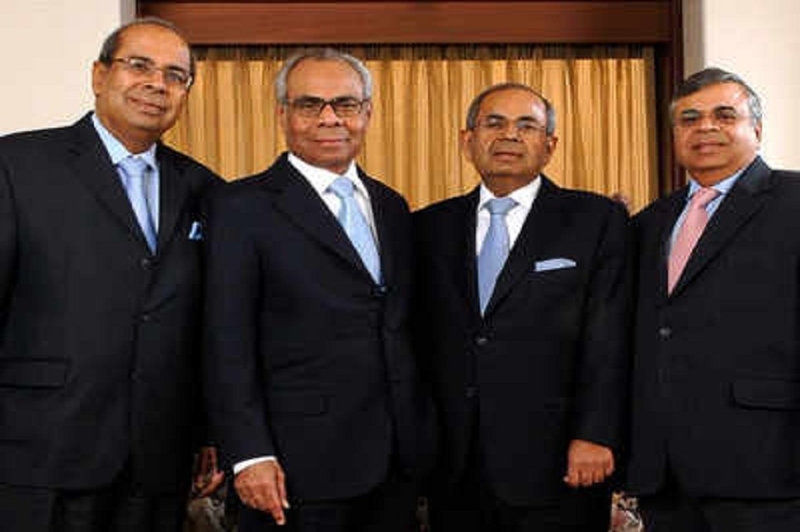 LEADING London-based NRI industrial tycoons, the Hinduja family tops the Asian Rich List 2019 for the sixth successive year with an estimated net worth of 25.2 billion pounds, an increase of over 3 billion pounds over the previous year. According to the Asian Rich List 2019 released at the Asian Business Awards here on Friday night, Steel magnates Lakshmi Mittal and his son Aditya Mittal remained in second place, with 11.2 billion pounds- down 2.8 billion pounds. India’s High Commissioner to the UK Ruchi Ghanashyam released the list which is a compilation of the 101 wealthiest Asians in Britain, highlighting exceptional entrepreneurial achievement over the last 12 months. S P Lohia (Petrochemicals) took the third place with 5.8 billion pounds. The entries of the Asian Rich List 2019 have a combined wealth of more than 85.2 billion pounds. The figure is increasing year on year and this year’s overall wealth increases by over 5 billion pounds. The list features seven new entries, including Hotelier Joginder Sanger and his son Girish Sanger who enter at number 40 on the list with an estimated value of 300 million pounds. Leading NRI entrepreneur Lord Swraj Paul and family are 17th in the list with a net worth 900 million pounds- an increase of 100 million pounds over the previous year. Shailesh Solanki, executive editor of Asian Marketing Group (AMG) publisher of the Rich List said, “The Asian Rich List is carefully compiled by a team of experts and it is the definitive guide to Asian wealth in Britain.” Gopi Chand Hinduja, Co-Chairman of the Hinduja Group said “our existing portfolio of companies is all in the sunrise sectors. Our focus is on banking and financial services, healthcare and of course, philanthropy.” In London, the Hindujas are continuing with the conversion of the Old War Office, on which they have a 250-year lease, into a luxury residential and 125-room Raffles Hotel complex. He said in India, there has been investment worth Rupees 1,000 crore (108 million pounds) in car and bus manufacturers Ashok Leyland, where Gopi’s younger son, Dheeraj Hinduja, is Chairman. It recently inaugurated a cutting edge electric vehicle facility in its Ennore plant at Chennai. Ashok Leyland is introducing battery-operated technology in its buses. Gopi said, “All our businesses are going through a digital transformation journey.” For example, “Hinduja Global Solutions (HGS) is ramping up its headcount in the US, with plans to add 600 more people by June 2019 by setting up a new centre in Florida.” HGS, rebranded from HTMT Global, has a presence in 12 countries including the Philippines, the United States, the United Kingdom, Canada, France, Germany, Italy, the Netherlands, Mauritius, the UAE and Jamaica. In India, it has 68 “delivery centres” in Bengaluru, Chennai, Hyderabad and Mumbai as well as in growing cities such as Mysore, Nagercoil, Durgapur, Siliguri and Guntur. The Hinduja National Power Corp recently acquired Kiran Energy Solar Power for Rs 1,000 crore (108 million) to “augment our presence in the renewable and alternative energy space,” Gopi explained. In healthcare, special attention is being devoted to spreading “cancer awareness”. In Mumbai, the PD Hinduja Hospital was involved in organising “the cancer is curable ride” on World Cancer Day on February 4.